To see enlargements of pictures and articles written about "Joey" click on pictures. 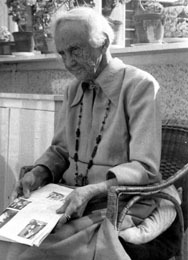 Articles appear with pictures at ages 103 and 104. To see pages from Joey's handwriting book from 1872 click on the handwriting.